We're so sure that you'll love our RealDose natural products, we protect you with our Unconditional 365-day "You Must Be Thrilled!" Money-Back Guarantee. We want you to have plenty of time to experience and benefit from our products so you can discover for yourself how great they will make you feel. If you're not happy with your results, simply notify us up to one full year after purchase by calling (800) 928-5580 (Outside U.S. +1-307-222-6725) or emailing ">support@ and we'll let you know right away how to return the unused portion for a 100% refund. No questions asked. No hoops to jump through. We understand many people are skeptical when they hear what a new product might do for them. Realizing this, we decided to offer our "You Must Be Thrilled!" 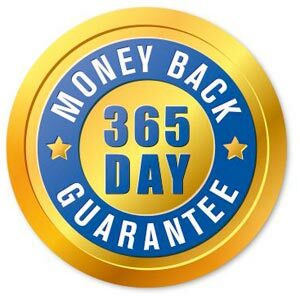 Money-Back Guarantee program so that new customers would get the opportunity to experience the same health benefits our satisfied customers have already enjoyed, with no worries!